“This is the confidence we have in approaching God: that if we ask anything according to his will, he hears us. 15 And if we know that he hears us—whatever we ask—we know that we have what we asked of him.” 1 John 5:14 -15 (NIV). 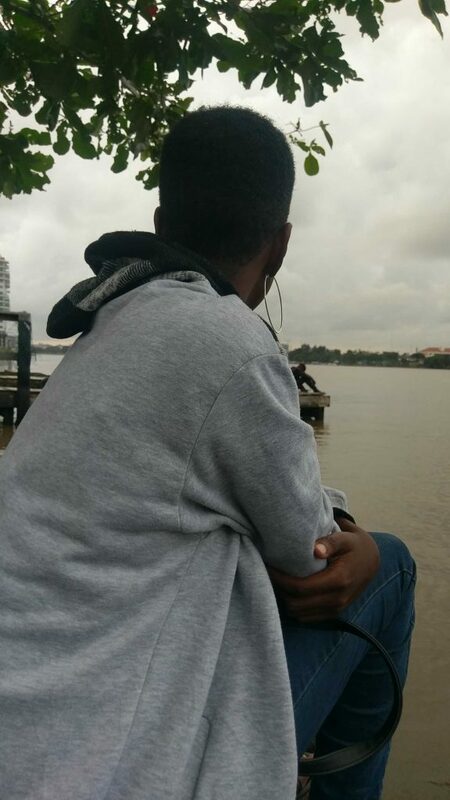 I got back home and had a conversation with God, I have been trying to bottle up how I felt for a long while and somehow I just assumed God would never understand because I couldn’t even put my emotions into the right words and I had forgotten that God doesn’t need my eloquence but all that matters to him is that I come just as I am. I had gotten to the peak that evening and I knew if I don’t find a way to let out my emotions I would only be hurting myself the more so I got into my room that evening and had a conversation with my heavenly father and the interesting part was that I didn’t have the say the words the tears was enough and I could feel the warmth of his presence. I felt real peace that evening and I knew there was a shift. I might not have not gotten all the answers I needed but I can’t trade that peace for anything! Dear God, are you even listening? I don’t know what you are going through and I don’t what and where you are expecting the lord to come through for you but one thing is certain; if you can pray, He is ready to listen. There are some days where it feels as though God is far away because the challenges feel overwhelming but even on such days learn to rest in the arms of your loving father. 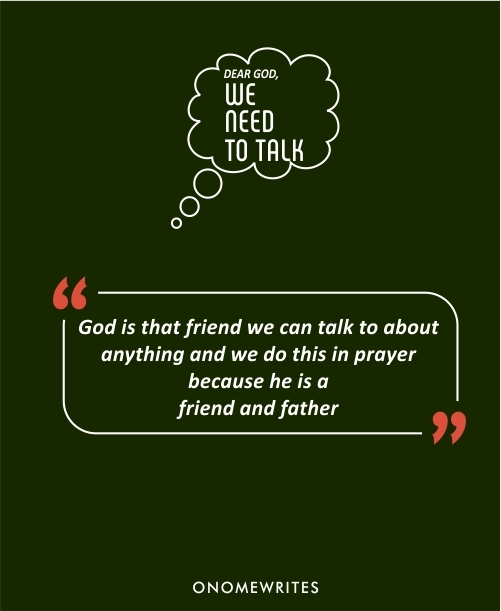 Prayer is not a one communication channel, it works in both ways while you talk be patient to listen to instructions but beyond that enjoy the fellowship and companionship of His presence. Don’t come into his presence with a perfect heart, if you are heartbroken tell him how you feel and you don’t have to say the perfect words. The bible says in Hebrews 4: 15 “For we do not have a high priest who is unable to empathize with our weaknesses, but we have one who has been tempted in every way, just as we are–yet he did not sin” (NIV). Jesus became human and he felt all you are feeling, how do you think God felt at that point when He had to deny his only son on the cross? He must have felt a big loss and his heart so broken and have you also thought of how Jesus felt too when his dear father who has never denied him of anything turned his back on him, no wonder he had to cry “my father, my father why have you forsaken me” and all this happened because the father loves us deeply. We have a high priest who understands how exactly we feel. 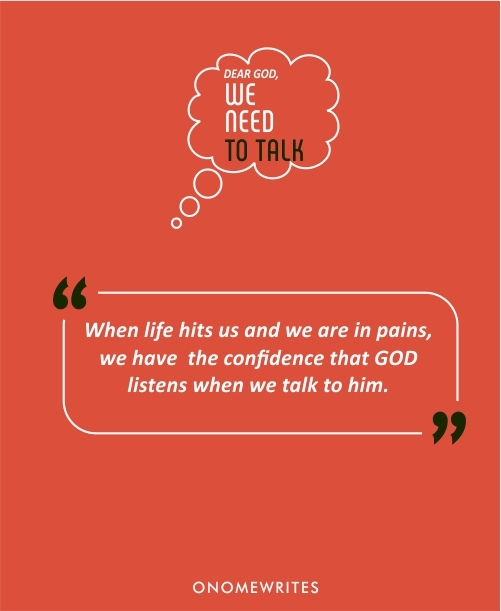 The next time your heart is so heavy and you can’t even process how you feel you can silently whisper the words or even scream it out loud “Dear God, we need to talk” with that you invite Him and even if you can’t find the right words just tell him how you feel and exchange your worries in worship. Enjoy His presence and watch him give you a new name. This is amazing. More grace ma. A great Revelation, Our Communication with Our Father does not have to be rigid and follows any format.